AMMONNEWS - The Senate held its first meeting in the new extraordinary session on Monday that was chaired by Senate President Faisal Al Fayez and attended by Prime Minister Omar Razzaz and Cabinet members. During the session, Fayez Tarawneh was sworn before the Senate and the Senate was notified on the financial and economic committee's decision to elect Umayya Toukan as head of the committee, and Omar Maani as rapporteur of the committee. The chamber also approved a request by Alia Bouran to join the financial and economic committee. 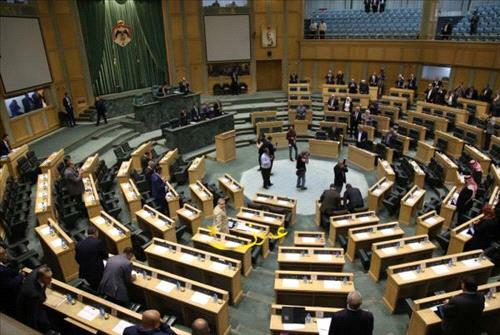 Earlier, the Senate's Secretary General Khaled Lawzi read the Royal Decree that summoned the Parliament to meet in an extraordinary session as of Monday to discuss the Policy Statement that will be presented by Prime Minister Omar Razzaz seeking the lawmakers' confidence. Lawzi also read the Royal Decrees that accepted the resignation of Rajai Muasher from Senate as of 14/6/2018 and appointed Fayez Tarawneh as Senate member as of 20/6/2018.